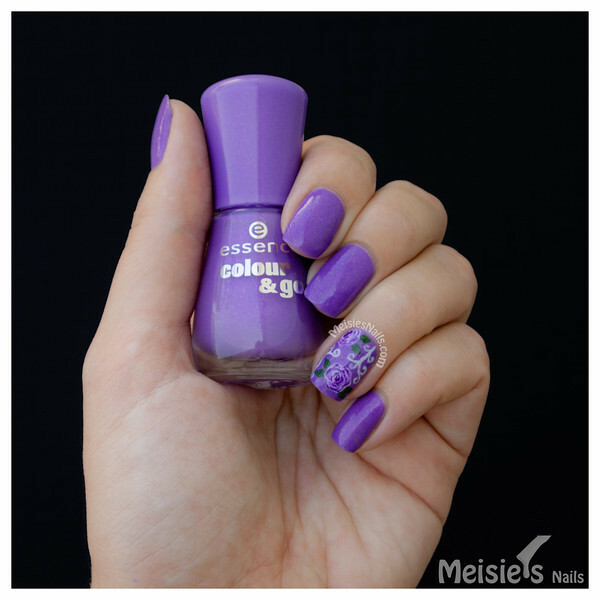 Meisie's Nails: Essence - Oh My Glitter! sorry I've been MIA. I'm on holidays and haven't had much time to do my nails. I managed to keep my previous rainbow gradient mani for 2 weeks!!! I had some chipping on both pinkies and minor ones on the other fingers. Don't ask me how, because I honestly don't know what the secret is. My pedi is still holding on just fine. I applied 2 coats of Essence Oh My Glitter! I was lacking inspiration so I opted for simple roses.